Julie Bladon is a qualified Yoga Teacher, Lomi Lomi (Ka Huna) Bodyworker, Reiki Master and writer. Julie was given her spiritual name, Jayadevi [meaning power goddess] by Swamiji at her mantra initiation ceremony at the Meenakshi Ashram. Julie began her exploration with yoga over 25 years ago. Initially as a means to deal with the stress of university studies but over time she developed a wider awareness of the benefits of yoga in her life. Balance, healthy breathing, asana, meditation and deep relaxation are a key focus in her yoga teaching. Julie creates a sacred and safe space for students to reach their full potential. You will leave her classes feeling renewed, rejuvenated and calm. These classes will support not just good exercise for the body but a focus on your overall wellbeing and clarity of mind. Julie completed her 200hrs yoga teacher training at the Sivananda Yoga Meenakshi Ashram in Madurai, Southern India. She continues to pursue her education in yoga and the healing arts. 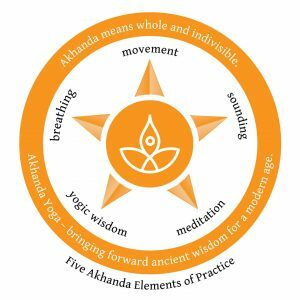 Julie recently returned to India to complete her 300hrs Akhanda yoga teacher training with Yogi Vishvketu at Anand Prakash Ashram, Rishikesh. This ongoing process of learning is what provides the fresh insights that inspire her work. Additional recent studies and workshops have included Core Strength Vinyasa Yoga with Sadie Nardini; Applied Anatomy for Yoga Teachers and Management of Injuries with Nancy Braithwaite; Journey to the Heart of Yoga with Yogrishi Vishvketu; plus workshops with Neville Cregan, Bill Wood and Caroline Lang. She has studied at Mette’s Institute in Queensland, Australia. Having completed the ‘Intensive Hawaiian Lomi Lomi Bodywork and Healing’ course plus the ‘Advanced Bodywork’ course she has studied full body massage; Huna energy balance systems, using the Polynesian energy points of the body; Huna philosophy & meditation for healing and relaxation; pregnancy massage; Polynesian floor work; joint and bone massage. Julie returned to Mette’s Institute in 2012 to complete the ‘Rites of Passage’ course which focuses on deepening the understanding of the connection between body, mind and spirit. Including deep tissue work and working with the emotional releases which may occur during massages. As part of her continued development Julie had the honour to train with Papa K, Hawaiian Kupuna (elder), on the Big Island, Hawaii. This training included Lomi Lomi massage, Hawaiian herbal medicine, Breath of Ha (ancient Hawaiian healing system), body reading and adjustments. Julie’s joy is teaching authentic yoga from the heart. It is an inspiration to see the development and growth of students. She has a passion for Yoga Nidra (Yoga Sleep) and loves to share the benefits of this powerful practices both in person and online. Julie is currently writing a children’s illustrated spiritual book which is taking slightly longer than anticipated! It is most definitely a learning process and the book is being lovingly crafted. Watch this space! Julie is also a Past Life Regressionist and Future Life Progressionist. She trained with Anne Jirsch, one of the world’s leading experts and pioneers of future life progression. Outside of work Julie is dedicated to the pursuit of inexpensive world travel, exploring other cultures, enjoying the arts, exploring her passion for dance… Generally experiencing life as fully as possible!